Ok, so I said I wouldn’t be reading anymore celeb biogs, I’m a sucker for punishment I know. However, this was at the top of the ‘to be read’ pile and I quite enjoyed her first biog. As Brand was a psychiatrist nurse before being a comedian then at least she has some interesting stories to tell. 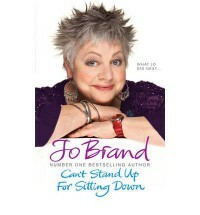 This book chronicles her career from leaving nursing to starting as a stand up comedian. 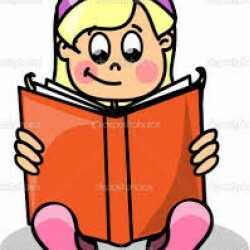 She writes about her rise and includes chapters such as good and bad clubs which she has enjoyed doing her routines at. I quite like her, she seems very down to earth with a dry, sarcastic sense of humour. In another chapter she says ‘I have narrowed down my favourite comedy moments to half a dozen, leaving out an incident in a hotel with two comics which I’m sworn not to repeat’. I personally find this annoying, why put it in the book without more of an explanation, even though she’s probably just letting the two comics know she hasn’t forgotten the incident, just send them an email, not mention it in your book! This was an ok book, the usual comedian standard. Thankfully this has been written up to her life so far so we won’t be having another book for a good few years.